From April 22 -29, 2019 ONLY! Expires: Apr 29, 2019 Get This Deal! BOOK SELECT VOYAGES DURING ALL-TRAVEL'S SAVINGS EVENT! Discover unique itineraries to must-see cities and hidden gems where larger ships can't go. Each cruise is a hand-picked collection of fascinating places, and each day brings a new opportunity for authentic discovery—another chance to explore your world in a personal and meaningful way. Take your pick from Select 2019 getaways and receive $300 shipboard credit when you book sailings departing through June 30, 2019! PLUS, this offer is combinable with other Seabourn Offers! Theres no better time to save than NOW! Exclusive Promotion: Reserve This Cruise April 22 -29, 2019 and Receive $300 per Couple Shipboard Credit. 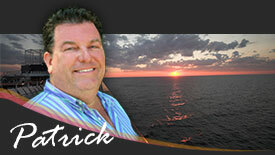 ONE Private Car and Driver "At Your Leisure" tour (Value - Up to $550 per Couple). Choose from the ports below. Belfast - Please click here for the tour descriptions. 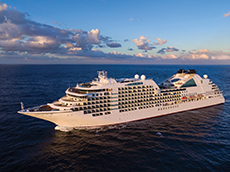 Seabourn Promotion: $300 per Couple Shipboard Credit on Select 2019 Sailings Booking Window: Valid for new bookings made April 22 -29, 2019- Capacity Controlled. Applicable Sailings: All open for sale sailings departing through June 30, 2019. Booking and Redemption Instructions: Contact Seabourn and book an applicable sailing. No promotion code or redemption form required. Seabourn reservations will not be aware of this promotion, Signature will apply to eligible bookings after the booking window has ended. Confirmation: Promotion will show on the cruise line confirmation. Combinability: Promotion is combinable with Signature's Private Car & Driver tour options and Shipboard Credit amenity, where applicable. 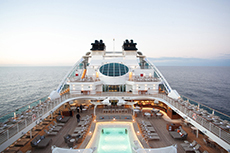 Promotion is combinable with all Seabourn brand promotions and agency groups. Promotion may not be combinable with any other promotion or offer, where applicable. Terms and Conditions: Promotion is based on double occupancy. Singles occupancy bookings will receive half of the listed shipboard credit amount. Promotion does not apply to 3rd/4th berth guests. Shipboard credit is available only on select sailings as indicated above. Promotion is applicable to all residents of North and South America. Promotion is non-transferable. Promotion is subject to availability and may be changed at any time. Promotion is capacity controlled and may be withdrawn without notice. Other restrictions may apply.